The Omega Point - Final Destination Of The Human Mind? The Omega Point is the opposite of inanimate matter. It is Intelligent Consciousness. The source of all knowledge. Pierre Teilhard de Chardin used the Greek letters Alpha and Omega to denote the absolute beginning of Evolution, and it's culminating end destination. According to Pierre, Alpha is the beginning of the Universe. The source of the afore mentioned subatomic particles. 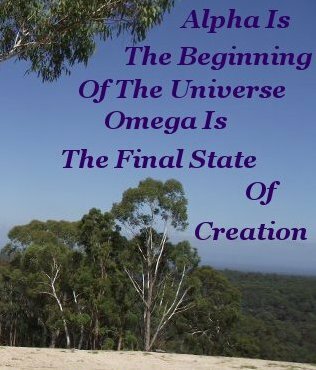 Omega is the ultimate state of Creation. Pierre designated this state the Center of Centers. One single point, where all consciousness has converged. Separate personalities (you and me) comprising the Noosphere, are the Centers. We all are autonomous points, or components, constituting a whole. As electrons orbit the nucleus of an atom. Converging, but not merging. Each center is enhanced and distinct. As the parts that compose a machine are converged and distinct. My interpretation of Pierre Teilhard's thinking is he believed that the Omega Point is the embrace of God. That the ultimate objective, or goal, of Evolution is where consciousness meets with the source of intelligence. In other words consciousness converges upon itself. With his open mind however, he would perhaps have agreed with 17th century Dutch philosopher Baruch Spinoza (1632-1677) that there is no distinction between God and Nature. This concept is indeed thought evoking. Also metaphysically sound. Nature and Evolution is well on the way to achieving this, but to progress further our direct involvement is required. Pierre Teilhard de Chardin made a valiant effort to reconcile his many scientific thoughts and discoveries with his religious dogma. But whether he was right or wrong, he freely admitted that linking the two goes beyond phenomenology. This type of frank admission takes great strength of character. and engenders confidence in another's perception of him being foremost a Truth Seeker. Humans generally have difficultly wrapping their minds around most concepts in Metaphysics, and yet more difficulty, changing their mind, once a concept is accepted. Even with new knowledge. A difficulty that can be addressed by maintaining an open mind, focusing on comprehension of a given subject. Opinion is not necessarily fact, but fact often originates in opinion. In particular, reflection based opinion. Even in the strictest, most precise Scientific Disciplines we witness a great deal of conjecture before truth is arrived at. 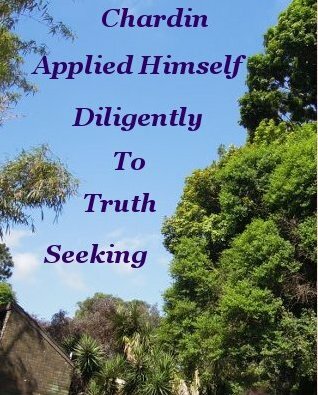 I believe de Chardin applied himself diligently to Truth Seeking. Pierre's Scientific Treatment of the Metaphysical dimension of life is beyond reproach. While I concur with Pierre's thinking on the construction of the Noosphere, I diverge a little from his train of thought on the Omega Point. My opinion is that with the estimated several hundred billion galaxies in the known universe, there is a reasonable chance that - intelligent - life exists elsewhere. If so, then that life must be factored into the equation. My own reflecting leads me to hypothesise that the Omega Point is reached after the Noosphere has evolved to be a cephalized, conscious entity. An entity with the proper sensory organs enabling it to be all knowing. And is equipped with the capability of communicating with other Noospheres in the Universe that have attained the same, or greater, levels of Evolution. There will be absolutely nothing to fear from these other Noospheres. If we are indeed mirroring Truth here, a Conscious Noosphere can only come into existence via a consensus of well developed, moral thinking, reflective minds. That, through their right thinking attitude, create a moral reality based in sharing and equality. 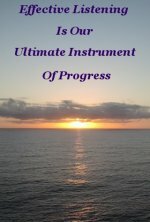 Considering this and Humanities current state of Metaphysical Progress, we have quite a way to go. But it is a guarantee that other Noospheres, if they exist, will be Peace Seekers. Apart from a brief treatment in the appendix of his book, Chardin does not examine evil. The emphasis on the moral aspect is entirely mine. I believe it needs mentioning because evil is the bane of all healthy society. And it will not go away. Evil manifests itself in all Human activity, via Lower Plane Thinking. 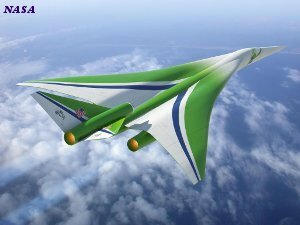 Lower plane thinking must be purposely weeded out before the Noosphere can advance to Conscious Cephalization. This is where our purposeful influence comes to the aid of Evolution. A recurring theme in the short history of Humanity is that out of the multitudes who apply themselves to a given discipline, it is the few who discover the Truth. 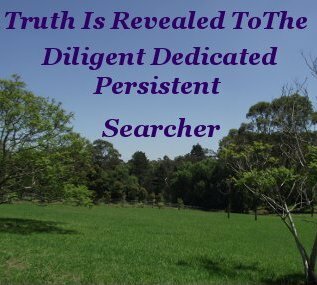 Truth is revealed to the diligent, dedicated, persistent, searcher seeking to understand the Natural Law underlying a particular phenomenon, and who is prepared to pay the price asked, in return for the answer. Understanding the phenomenon of the Human Being, and by extension, consciousness, may be the greatest scientific challenge that we will ever undertake. It is my belief this understanding is not only crucial to our progress, but it is directly related to the survival of that same Being. AKA us. It is now entirely up to the Human Species whether or not we decide to reach the Omega Point. If we do decide in the affirmative, a valuable added bonus would be the verification of the existence of Free Will.